As the offseason prods on, disappointed fans set their sights on the future. Their team may not have won the Super Bowl (or even made it to the playoffs), but there’s always next year. As we look forward to next year’s draft, gay fans like me wonder whether this will be the year… the year that a gay player gets drafted. 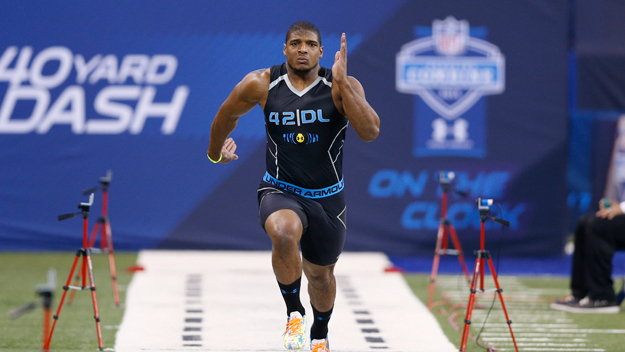 Your first reaction might be: what about Michael Sam? Before the 2014 draft, Sam was predicted to be a third or fourth round pick, but that didn’t happen. He was picked 249th out of 256 players by the then-St. Louis Rams. It was widely speculated that Sam’s draft stock fell so far due to concerns about his sexuality. Once drafted, Sam played in a few preseason games (he even had a sack against Packers QB Matt Flynn), but never played in a regular-season NFL game. To this day, there has still never been an openly gay player in a regular-season NFL game. There will always be arguments about why Sam didn’t see more success in the NFL. Of the 41 players drafted in the 7th round in 2014, only 22 made it to initial 53-man rosters. Perhaps Sam wasn’t as talented as he initially seemed based on his college career. Or perhaps he wasn’t given a chance because he kissed his boyfriend on national TV. We’ll never really know. Many other players have made similar supportive statements. In 2013, 49ers cornerback Chris Culliver said “We don’t have any gay guys on the team … They gotta get up outta here if they do. 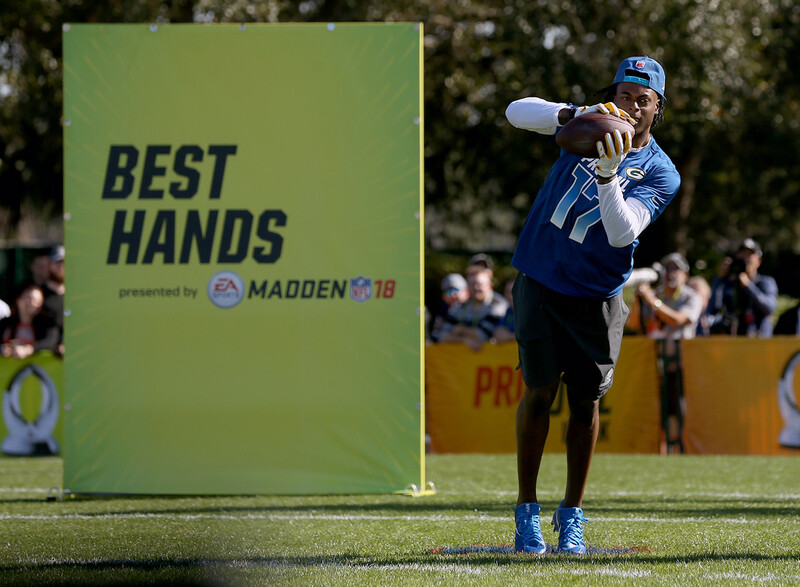 Can’t be with that sweet stuff.” While the 49ers organization and Culliver himself apologized for these remarks, they reflect a common attitude. Players and fans alike have many different reasons for opposing having an openly gay player on an NFL team. There are concerns about communal showers. There are concerns that a gay player would not be “manly” enough to play such a rough sport. What many people don’t know is that gay men have been playing professional football for decades. Ryan O’Callaghan played offensive tackle for the Patriots and Chiefs from 2006 to 2011 but didn’t come out until 2017. Jeff Rohrer played linebacker for the Dallas Cowboys from 1982 to 1989, but didn’t come out until 2018, right before marrying his husband. Esera Tuaolo played defensive tackle for several teams (including the Packers) from 1991 to 1999. Tuaolo came out in 2002 and has been a vocal advocate for LGBT equality. There have only been six former NFL players to have come out publicly after retiring. However, many players report having gay teammates who are not out of the closet. The fact is that there have been and will continue to be gay players in the NFL. Gay players are capable of playing at the professional level, and the presence of a gay player is not automatically disruptive to the locker room. We don’t come out for heterosexual people to know … We shout and make as much noise as possible just so other people like us who are scared and can’t be themselves would know that they are not a mistake and they are not alone. Even today, with all the progress that has been made by the LGBT community towards equality, we face discrimination and hatred – sometimes from those closest to us. 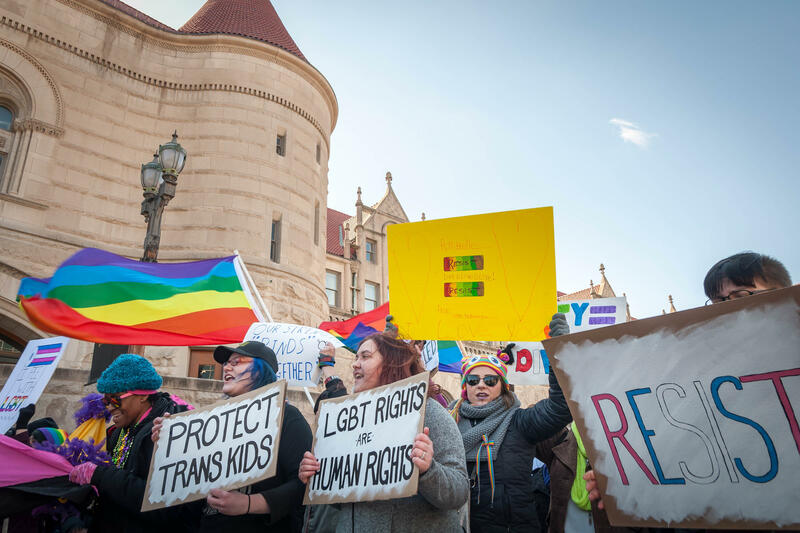 In its “Growing up LGBT in America” report, the Human Rights Campaign reported that 42% of LGBT youth say that the community they live in is not accepting of LGBT people. The simple fact is that visibility and representation matters. Athletes like Adam Rippon (ice skating), Gus Kenworthy (skiing), Jason Collins (basketball), and Robbie Rogers (soccer), who come out while actively competing in their respective sports serve as inspiration for LGBT youth. For me personally, while growing up I had a very distinct sense of what it meant to be gay, reinforced by effeminate stereotypes in TV and movies. An athlete like Michael Sam coming out when I was young would have been a revelation about what it means (and doesn’t mean) to be gay. This very well might have led me to not be in the closet into my 30’s. How likely is it that we will see an out player on an NFL team next year, and could it even be on the Packers? It is easy to understand why a current player might be reluctant to come out, especially looking at what happened to Michael Sam. 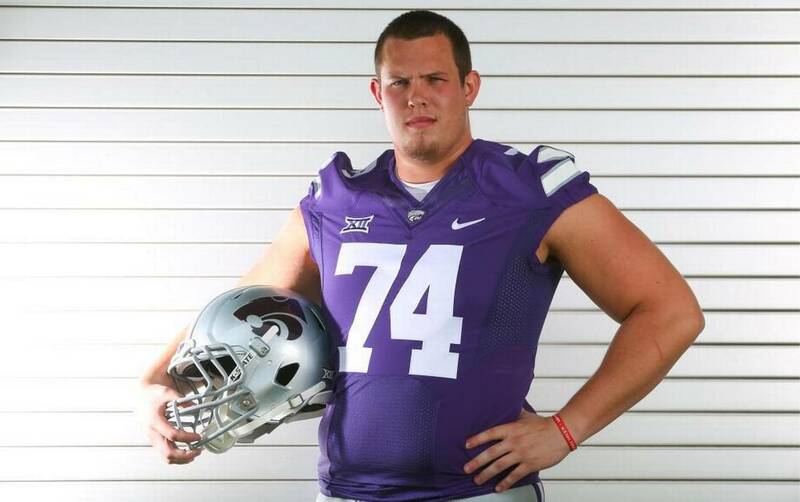 He was scrutinized by the media when all he wanted to do was be a football player. Careers in the NFL are notoriously short and brutal… why would someone risk it? It might be more likely that the first out regular-season NFL player will be a current college player who is already out. There are a handful of out players at Division I schools, including Scott Frantz at Kansas State and My-King Johnson at Arizona. Additionally, there are several out players from non-Division I schools. If not for the sexuality issue, it wouldn’t be unusual for the Packers to take a chance on a player from a lesser-known school; look at the success they have had with players like Donald Driver and John Kuhn. Vince Lombardi was famously accepting of gay players on the Green Bay Packers. I’m hoping that Lombardi’s legacy of acceptance continues. If the first openly gay NFL player in a regular-season game happens to wear the green and gold, I would be thrilled. And even if they’re wearing some other team’s colors, they will be taking a bold and important step forward for the sport of football. Author’s note: I’m far from an expert on football or on LGBTQ+ issues. I’m just a fan who cares about these things. Thanks for reading, and thanks to the hosts of Titletown Sound Off for giving me this platform to share my thoughts.